Bluezone Corporation releases EDM FX Samples, a new turbocharged sound effect library for modern producers. This cutting edge collection of samples contains an arsenal of SFX elements as rises, punchy drops, reverses, white noise sweeps, impacts, transitions and more. Designed from hardware synths, these amazing sound effects cover all genres of music: Techno, Progressive, Electro House, Psytrance, Dubstep, Breaks and Drum and Bass. 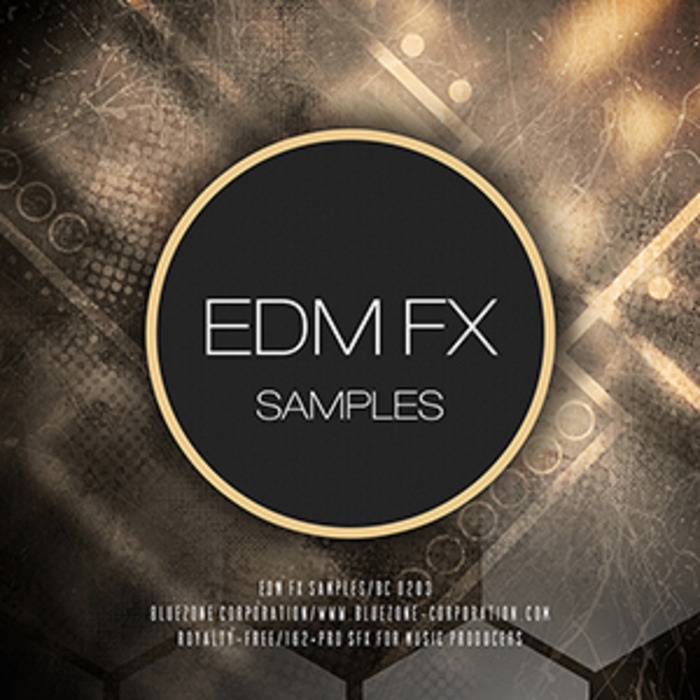 EDM FX Samples is the latest reference for producers looking for energetic and heavy sounds ready to be injected in their future bestsellers. All the samples come in hi-quality 24-bit wav format and are ready to drop into your favourite Daw. Like all Bluezone products, this intense downloadable sample pack is royalty-free and does not require any additional costs or permissions.